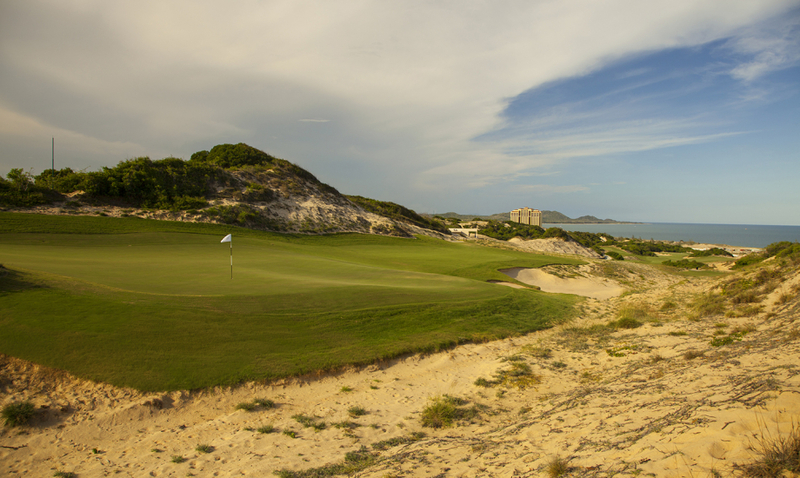 The Greg Norman designed Bluffs Ho Tram Strip golf course is located 80 kilometers southeast of Ho Chi Minh City in Ba Ria-Vung Tau Province on the southern Vietnamese coastline. It takes around 2 hours to reach by divided highway by car from Ho Chi Minh City. The Bluffs Ho Tram is a unique links style par-71 golf course on a rugged site often accompanied by strong onshore breezes. In fact, the Bluffs Ho Tram Strip has some of the best geographical traits for a top golf course layout. 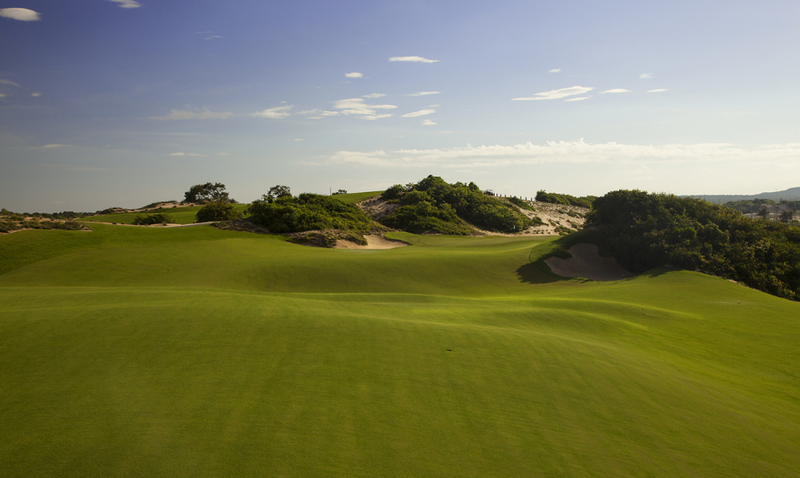 For example, the whole site sits on a coastal plateau with 50 meter elevation changes from the highest to lowest point and holes are routed among towering seaside sand dunes. 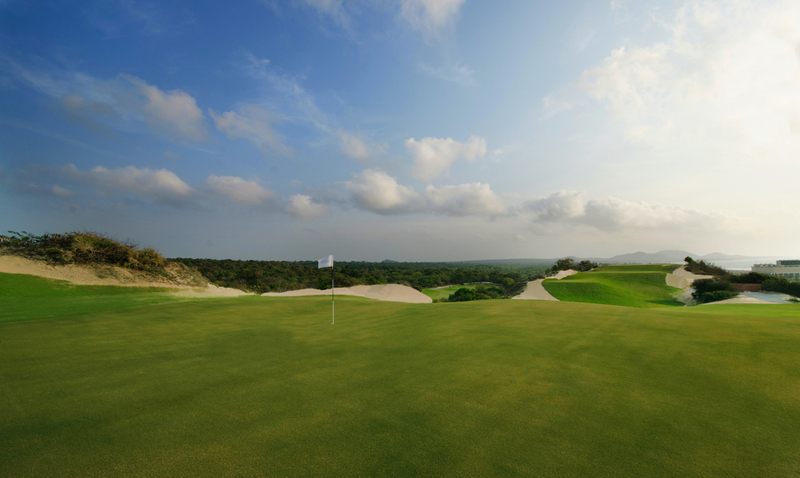 The course was built on sandy loam soil with native crawling vegetation. This creates excellent drainage and turf conditions. Next, being exposed to high sea winds at certain times through the year plays havoc and creates extreme challenge for even the best seasoned golfers. 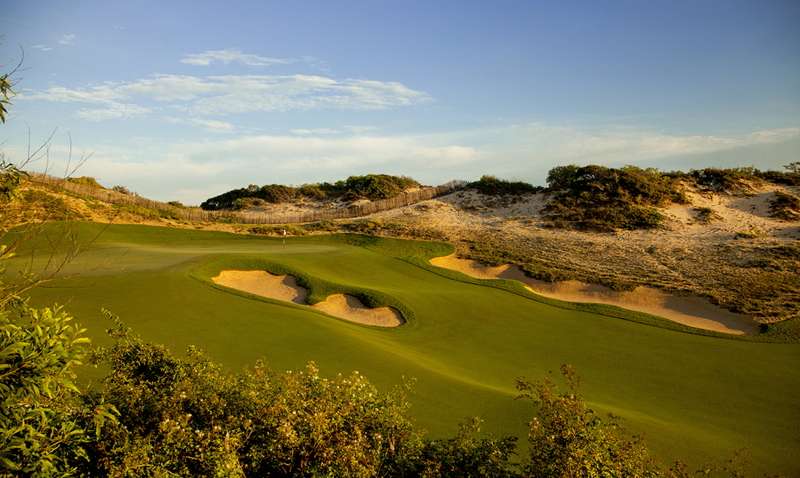 The links course also makes for a golf experience that’s as much a feast for the eyes as it is a challenge. While the highest point of the rugged, windswept property is 50 meters above sea level, on the 15th green, one of the most spectacular spots comes earlier in the round, on the signature 4th hole. 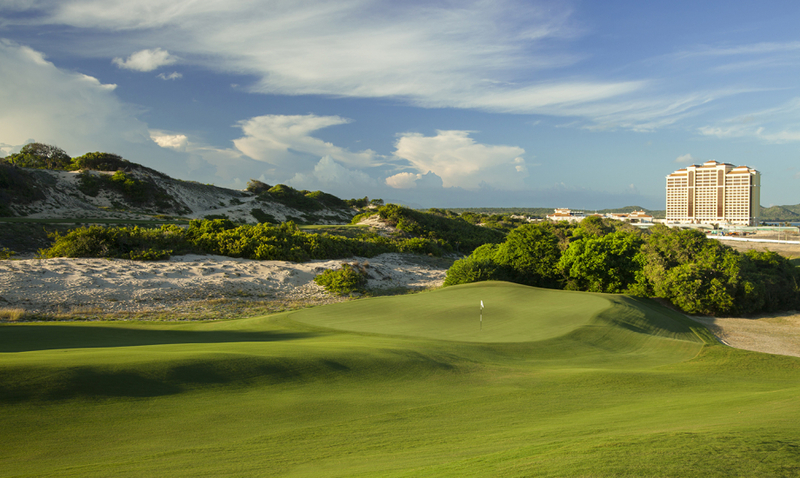 From here players are treated to a spectacular 360 degree view, including the course itself, the lush surrounding forest and wildlife, the expansive Vietnam coast, and the Grand Ho Tram Strip, Vietnam’s first integrated casino and golf resort. The Bluffs Ho Tram Strip facilities include a three level 2,300 square meter clubhouse with an array of dining options to complement the championship golf. The onsite PGA golf academy and driving range with more than 3,000 square meters of practice and training facilities is also a great place to warm up before any round.